David Bradshaw, and his yellow Beetle “Bumblebee” Lyfe prepared 996 Porsche Cup Car took home the win in TT1 with a best time of 1:39.810. His luck wouldn’t hold into Sunday, as Daren Jorgensen, in the Rearden/Strom Motorsports M4 ran a 1:36.762. We already talked TT2, so let’s move on to TT3. On Saturday, John Calvin (theologian, father of Calvinism/Reformed Protestantism, and driver of an orange and black Mustang) turned a 1:45.969 to bring home a win. Sunday saw another Rearden BMW take home a TT class win, this time it was the M235iR of Andrew McCubbins, an adorable animated teddy bear… Probably. The 2017 season sees the debut of TT4, replacing TTB. Mike Bratsch kept his sucking low and pulled off the first win in the new class on Saturday with a 1:45.131. On Sunday Nam Yoon (not pictured) ran a 1:41.868, and took the class victory. TTC is still around, having yet to be replaced by an as of yet undeveloped TT5, and had a few competitors on the weekend. Two to be exact! On Saturday, with a 1:44.955, Lynn Hodges in the red chrome Lotus took the win over John Butcher. Johnny boy would get his win on Sunday, with a 1:47.497. Kenneth Russell, noted bon vivant and man about town, was the sole TTD competitor on the weekend. Him and his trusty Civic pulled a best time of 1:48.471 on Saturday and, like myself, weren’t around on Sunday. A pair of hardtop NA chassis Miatas split the wins in TTE over the weekend. Todd Green, in Ol’ Blue or the Smurf or Babe the Tiny Blue Sports Car, ran a 1:46.473 on Saturday. On Sunday Tyler Nisonger took the win with a 1:48.074. We had a TTF competitor this weekend! It was one Eduardo Acurero, in a black CRX that would lift the inside rear wheel during hard maneuvers. Eduardo, as he will always be referred to as on these pages, turned a 1:45.316. A time on par with the TTC field. Good going Eduardo! Rounding out TT is Andrew Smith, who trotted out the Rearden/SilencerCo/FourFoods Group/maybe R&R Barbecue? Audi R8 LMS Ultra and turned a 1:36.606, outpacing even the likes of the UVU Miata. Tom Rogers, Thom Rodgers to his friends and Peruvian officials, beat out Chris Haunold for the GTS2 win on Saturday and Sunday. Will the BMW-Porsche battle end with the Bavarian car on top? It’s too soon to tell, but LET’S RECKLESSLY SPECULATE AND SAY YES! Carl Marx, the great nephew of the legendary Zeppo Marx, in one of the Rearden BMW M235iR’s claimed a pair of GTS3 wins on the weekend. Troy Duffin, in a cruel twist of fate, managed to get the PTD victory, but lose his gorgeous red Datsun 510. The car broke loose going into turn one, and as a result damaged some of the rear suspension. He managed to get the car going again, but only to limp it back into the pits. I speak for a lot of people who are glad Troy is ok, and are wishing for the car to make a speedy recovery! Speaking of broken cars, Todd Green’s blue Miata decided to spin a bearing. It managed to do this AFTER Todd took the PTE win on Saturday. On Sunday Todd turned to an old friend, one who’s always been there when called upon: Paul Mitchell. Despite sitting since October, and on old tires, Paul answered the call of his old friend. After an oil change, Todd ran just over a tenth of a second off the track record on his way to another win. With a spring in his step, a song in his heart, and a fresh new livery; Matt Williamson took to the track for another year of Spec Miata competition. Joined by newcomer (to Spec Miata) Andy Moench, who finished second on both days, Matt claimed the first two wins of the 2017 season. Super Touring 4 was ruled over by benevolent hamburger overlord Blake Troester, aka Mayor McCheese. Under his stewardship, sightings of the Hamburglar have been greatly reduced, while acceptance of Grimmace is now commonplace. We salute you, kind mayor! Our two (for the moment) Thunder Roadster drivers traded wins over the weekend. Jihn Han took the season opening win, and JD Stull took home top honors on Sunday. Big Bob Evans has said he’ll be in one of these cars this year, which would be amazing for many reasons. We hope he hops in soon, but in the meantime we’re more than content with watching JD and Jihn duke it out. Normally the Spec Z field runs in the Lightning group, but not this weekend. No, they were on grid for the Thunder races. Yeah. the group with the Huracan Super Trofeos, 911 GT3R’s, Cup cars, and other fast stuff. Despite being a herd of rolling cones (there were 14 cars on grid for Saturday’s race, 11 for Sunday), they had quite the race. As is tradition, Arthur Golebiowski grabbed the season opener, with Tom and Chad in tow. Sunday was a different story. Someone going by the handle of “LYFE Motorsport” hopped into Kyle Schick’s #22 car and took the win. With Chad and Tom in tow. He managed to race, and remove his thermostat all in the same day! It’s the one and only Toby Crawford! Despite having a wounded car, Toby still went out and ran a full race in ST2, getting a win. ST1 was populated exclusively by Ginetta G55’s. The little GT4 cars were prepped by Ian Lacy Racing, and driven by Frank “You’re my boy, Blue!” Gannett and Drew Staveley. Drew took home the wins for the weekend, and now I have to figure out either a nickname or a weird non sequitir for him. Steve Burns, Texan and driver of a car that barely qualifies as a Mustang anymore, claimed Saturday’s Super Unlimited win. Jeff Kearl, pictured in a different car from a different round from a different month from a different year, took the SU win on Sunday. GTSU was a bullfight all weekend! Except without the cultural relevance, animal cruelty, or goring. A new Huracan Super Trofeo appeared, fielded by DXDT Racing, and driven by Paul Terry. It wasn’t one of their cars that they use for the Super Trofeo series, at least this one wasn’t sporting the livery anyway. They faced off against the tried and true Makes & Models Huracan. Despite Paul having slightly faster fast laps, he couldn’t overcome the cagey driving of Derek Wolthoff. 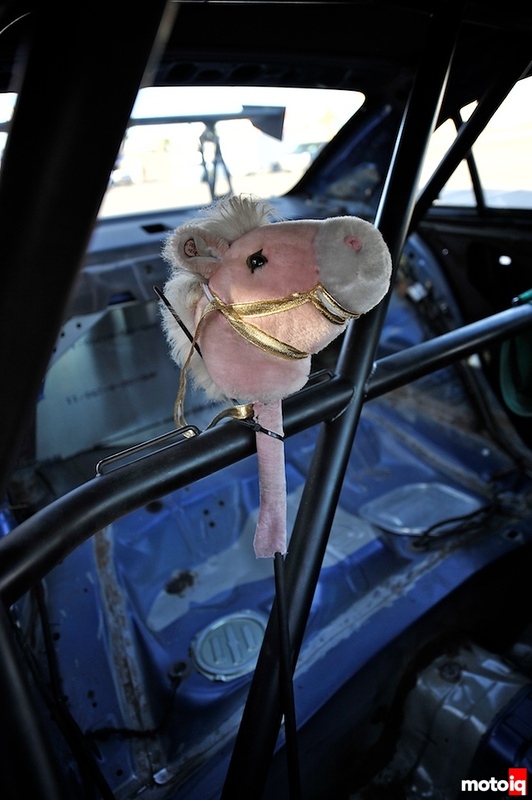 The Makes & Models team returned to the shop in Layton with two more victories under their belt. And there we have it! The season is off to a rousing start. The East track is the venue for next month, and the weekend of that is April 21-23. We’ll be out there, for the whole thing this time! Come out and join us! We caught up with the driver of the fastest time attack R35 GTR in the world: Cole Powelson of Lyfe Motorspot. We talked about what it was like besting someone he looked up to as a young up and comer, how he went from driving a Porsche and living in his parent’s basement to the corner office at Lyfe, why we love Jose, and what’s next for him and the Lyfe Motorsports crew. We also answered all of your questions, or at least the ones that showed up before we started recording. This episode was recorded in his office, so be prepared to hear the A/C kick on a few times. Catch him and the Lyfe guys out at UMC this weekend for Round 7 of the NASA Utah season! “Why didn’t you move?” It was a good question. The corner worker came down from his stand, handed me and a maintenance worker bottles of water, and asked me his question. He gave me a look, then started talking to the maintenance guy. I kept snapping photos of WRX the safety crew was loading on to the flatbed. A few minutes earlier I watched my friend, Jonny Tapia, lose his WRX as he was coming through Witchcraft, the fastest turn on the Outer Loop, and do what many other drivers before him did: hit the armco on the inside of the track. I was walking up the hill, towards the top of the Attitudes, when I heard tires screaming for grip. I turned around, raised my camera and started firing off photos without even thinking. It took a second, after the dust settled, for me to realize who was driving. I ran towards the car, while the corner worker was yelling into his radio. I got to the side of the car and asked Jonny if he was alright. Thankfully he and his passenger were. I relayed this to the corner worker, via yelling and two thumbs up, who was still shouting into his headset. Jonny and his passenger climbed out of the wrecked Subaru, and looked at the remnants of the car. Understandably, he was torn up about the incident. She kept trying to comfort him, but it was to no avail. He never fully broke down though. He put a lot of time into the car, and seeing it like that was crushing. In the paddock he was more at peace with the state of his car, and was hopeful about returning to the track. It will be a while before his car is back on track, but everyone in the garages was hopeful it would be. As is procedure for an incident such as this, an ambulance came to take the fateful pair to the medical center to get checked out. After they left I saw the scope of the damage. The left front Enkei RPF1 was shattered by the force of the impact. The big APR wing was ripped off one of its uprights, and sent an end plate over the armco. The rear windows were smashed out, there were ripples in the body panels, and a tail light was destroyed. The splitter sat low and crooked, so much so that it munched a ramp as the safety crew was pulling it onto the flatbed. The front bumper was ripped off during the impact, and was thrown on to the truck after the car was loaded. “Why didn’t you move?” I don’t know. Another oppressively hot warm Saturday meant the NASA Utah guys were hosting the monthly Lap Battle/HPDE/Racing sessions. We’ll discuss the Racing in a couple of days, today is all about Lap Battle and HPDE. The big news, other than the first Lap Battle session not getting timed due to transponder issues, involved two long awaited cars: Park’s all black C5 Corvette and the return of Brendon’s Evo. Last year Park was running around in one of the FR500S Mustangs, but now he has a very evil looking (and sounding) Vette. Brendon lost his brakes during a Lap Battle session last year, and put his orange Evo into the tire wall. The Evo was busted, but not gone! HPDE brought out a mess of Corvettes (including a C6 ZR1), a brave soul in a Jetta 2.5 SE, and a handful of Mustangs. We’ll see you track rats in a little over three weeks for the next event! Going to change it up a bit and combine the NASA/Lap Battle post. Scream at me if I’m doing it wrong. First off, it was great seeing some HPDE cars out on the track tearing it up. Especially the 993 Turbo Porsche that has now become the subject of my dreams at night. This was also the triumphant return of Brody Hamblin’s WRX on the track. This car has seen magazine features, but never seems to stay on the track very long. This time it was out there and it was fast, fast enough to nab the quickest AWD time. The Subaru’s featured recently by us in The Happy Couple Subaru’s were out at the track and Sally was rocking a new set of coilovers and Shawn managed the second fastest AWD time. The NASA event was action packed with Jeff Miller’s chopped top C4 Corvette starting 4th and finishing 1st beating out the Porsche Cup cars. Well done! We look forward to another weekend out at the track next month! Special thanks to Tommy for joining me at the track and rocking the iPhonography while Mike had to work.